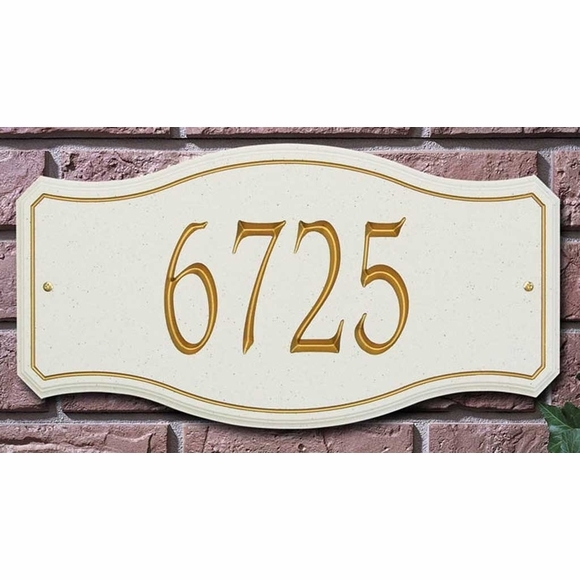 Personalized Carved Acrylic Address Plaque - - faux stone 1 line address sign for wall mount holds five 4" numbers. Made in USA. Arch dimensions: 16"W x 9"H.
Modified rectangle dimensions: 16.75"W x 8.75"H.
Oval dimensions: 16"W x 9"H.